New book, 72 pages, 126 photos many in colour. Over forty years, between 1922 and 1962, the USN and USMC used a designation system which began with biplanes and ended with jets, having been used through two major wars, WW2 and the Korean War. This system remained largely the same during that time, though it evolved with the introduction of new types and technology, and new exceptions developed as well. The purpose of this series is to explain this system using photographs. 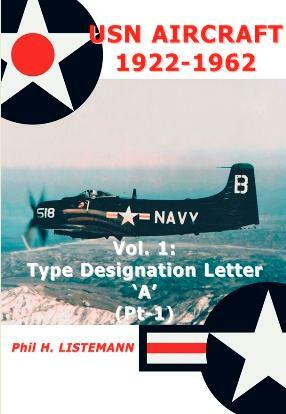 This volume covers the letter A of the type designation system, which is the Piper J-5 Ambulance aircraft (1943 - 1946) and the first part of the Attack aircraft, which includes all the Skyraider versions up to 1962.